Dr. Mathra Das Pahwa, grandfather of Mr. Deepak Pahwa, was a renowned eye surgeon and had performed about half a million cataract surgeries in his life time. 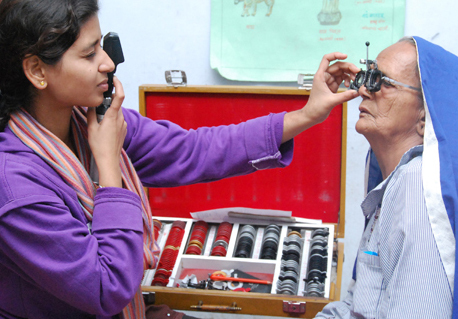 He had worked tirelessly in the field of vision, more so, for cataract surgery, free of cost. Read more Padma Shri, Rai Bahadur Dr. Mathra Das Pahwa - "A brief compilation of his life story". Bry-Air is carrying forward the legacy of Dr. Mathra Das Pahwa, in the field of education to provide education and encourage knowledge. Dr. Mathra Das Pahwa had set up many educational institutions in Moga, Punjab, India. These institutions are currently running in his name, viz. D.M. College, D.M. High School, D.M. Arya Girls Secondary School and also some other institutions in the town. 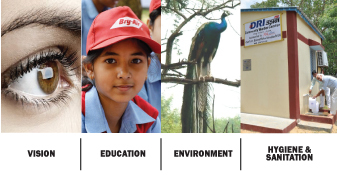 In the field of environment, Bry-Air and its group company Desiccant Rotors International (DRI) are working towards a greener world for our children. Spreading Awareness - Bry-Air is spreading awareness amongst the future generation by organizing Drawing Competitions for children at various places including its own facilities as well as supporting the group WWN (Working With Nature), in its activities like Nature Walks, cleaning the Delhi Sanjay Van, etc. 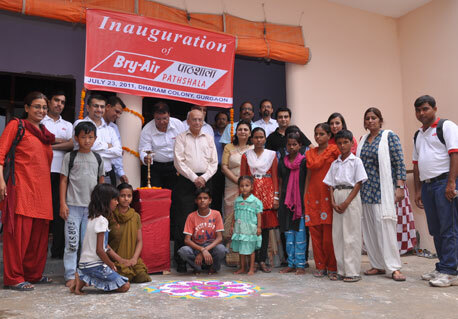 Bry-Air has set up Community Water Center to provide safe drinking water to the villagers. 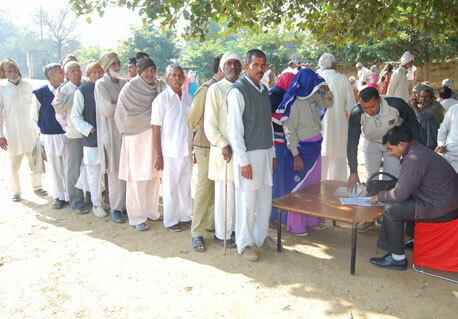 Till date Bry-Air & DRI has set up 3 Community Water Centers in Gurgaon and Alwar area. 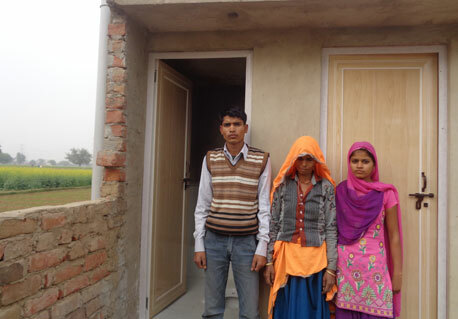 As a part of Swachh Bharat Abhiyan, Bry-Air along with the NGO partner is constructing individual toilets for the villagers in Kaduki village, Alwar. 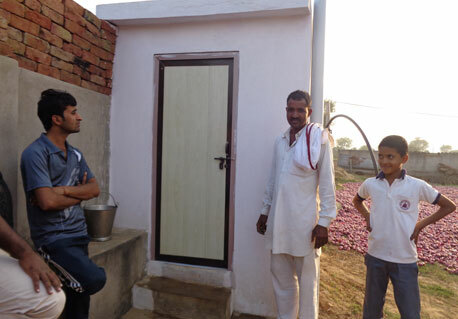 Till date Bry-Air & DRI along with partner NGO has constructed 40 individual toilets in the same village. DRI has also constructed one Toilet Block for Govt. Girls Senior Secondary School at Dayalpur, New Delhi. To spread awareness amongst manufacturing community, Bry-Air organizes seminar on Environment Friendly Technologies with a focus on Energy Saving and Water Conservation. Bry-Air organised a seminar on “3R’s – Reduce, Reuse and Recycle : Water, Electronic Waste and Paper” on Thursday, July 26, 2012 at Gurgaon. Bry-Air organized a seminar on “Energy Saving Technology & Equipment” on Friday, September 07, 2012 at Pride Park Premier Hotel, Gurgaon. This was the fourth in the series of seminars, Bry-Air had organized on environmental related issues. Another area where Bry-Air is working is toward restoration of Sanjay Van, a reserve forest (633 hectare) located near Qutab Minar, Delhi. 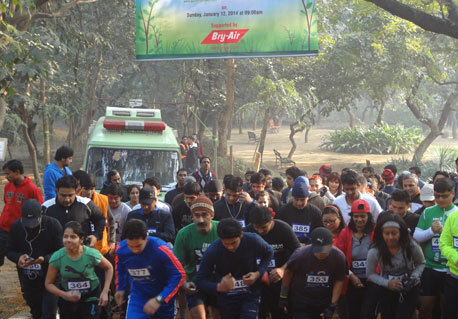 Bry-Air is supporting the endeavors of AVM Vinod Rawat and his team “Working With Nature (WWN)” to protect and restore the flora and fauna in Sanjay Van. Bry-Air also supports many other deserving causes like providing scholarships for young and upcoming sports persons. Currently, two such scholarships are being provided for young amateurs in the field of golf and tennis respectively.